Emboldened by 2700 years of Roman History, BVLGARI, Italian fine jewelry brand under LVMH Group, continues the legacy of Italian excellence with innovative technology. According to the financial data of LVMH Group in 2017, LVMH Group’s watch and jewelry sector saw a natural growth rate of 12%, the first instance of a double-digit growth rate in the past five years for the sector. 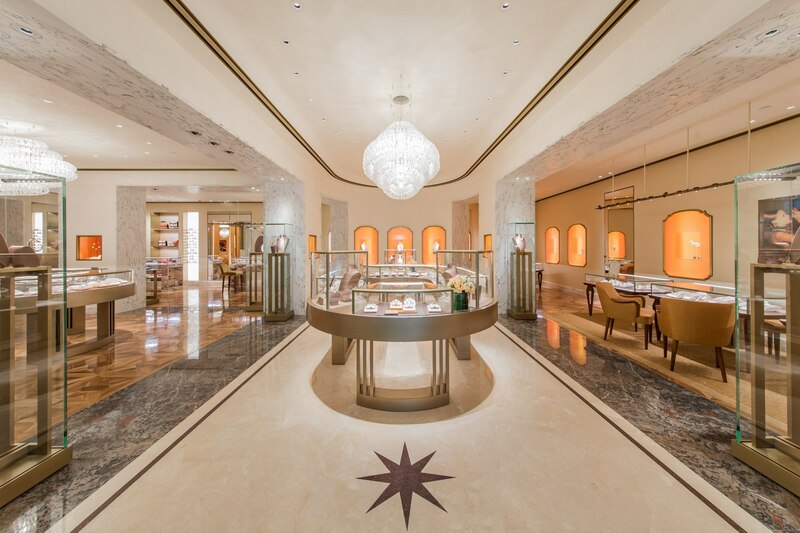 BVLGARI has achieved excellent results and continued expanding its market share with iconic collections including the Serpenti, B.Zero 1, Diva’s Dream and Octo collections. 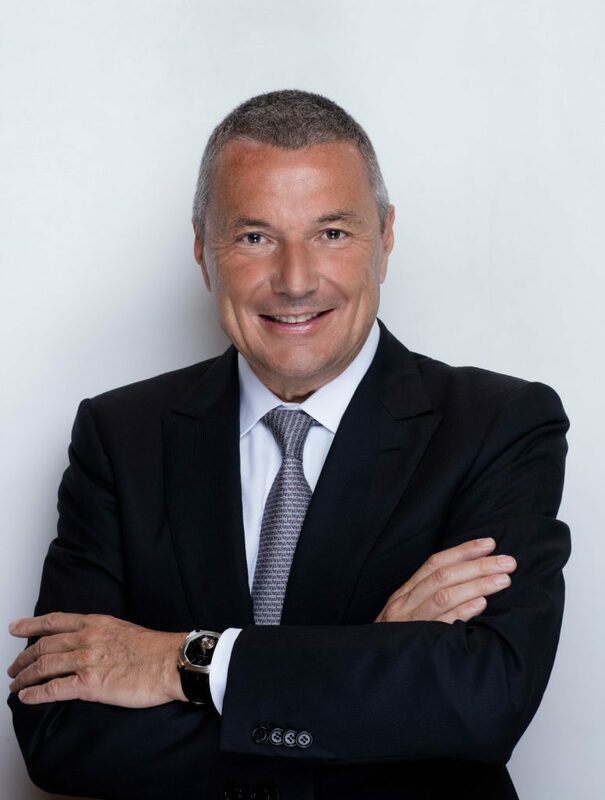 Mr. Jean-Christophe Babin, CEO of BVLGARI, was appointed in 2013. He previously held senior management positions at P&G, Boston Consulting Group and Henkel. Prior to joining BVLGARI, Mr. Babin was CEO at TAG Heuer, a watch brand of LVMH for 12 years. BVLGARI was acquired by LVMH for 3.7 billion euros in 2011. Luxe.Co held an exclusive interview with Mr. Babin recently, in which he shared his insights of the 134-year-old Italian brand’s inspiration, challenge and strategy. 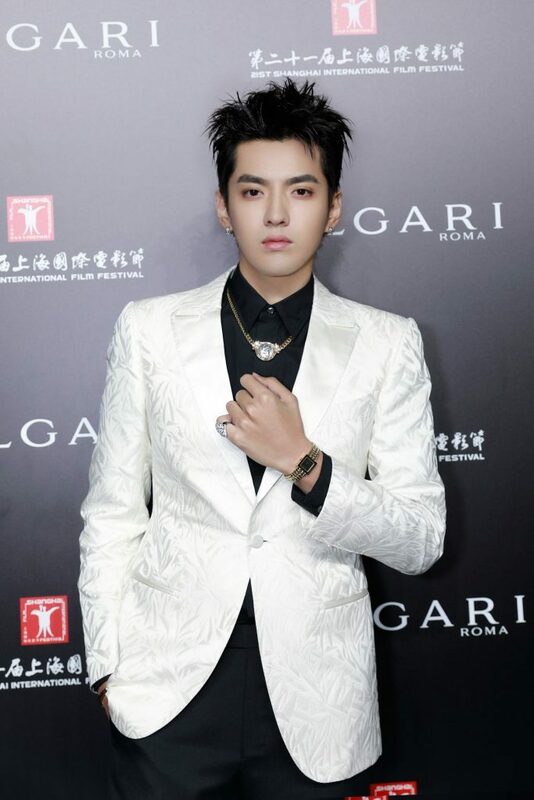 Luxe.Co: BVLGARI has been the official partner of Shanghai International Film Festival (SIFF) for two consecutive years. Could you share with us the story behind the cooperation between BVLGARI and SIFF? Why do you choose film as a medium to convey BVLGARI’s brand spirit and Italian lifestyle? 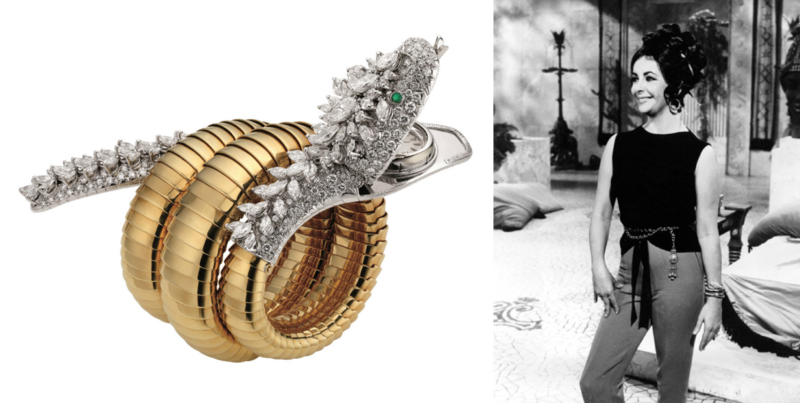 Babin: First, BVLGARI has always been involved and influenced by art, as you can see in our jewelry. It’s partly because we are Roman who are influenced by a lot of art. Movie is the seventh art. With Cinecittà, Rome has been a major international capital of movies since 1950s. Many major movies have been filmed in Rome. The combination of film, BVLGARI and Rome has been one of the major steps in popularizing the brand. The brand originates from lifestyle and arts, among other factors. Rome’s ambiance, architecture and movie culture shape the brand. We believe film is part of our genetic makeup. In keeping with this spirit, we prefer to partner with newer shows and festivals, rather than the more established events. BVLGARI contributes to Tribeca (in the US) by financing and supporting films. 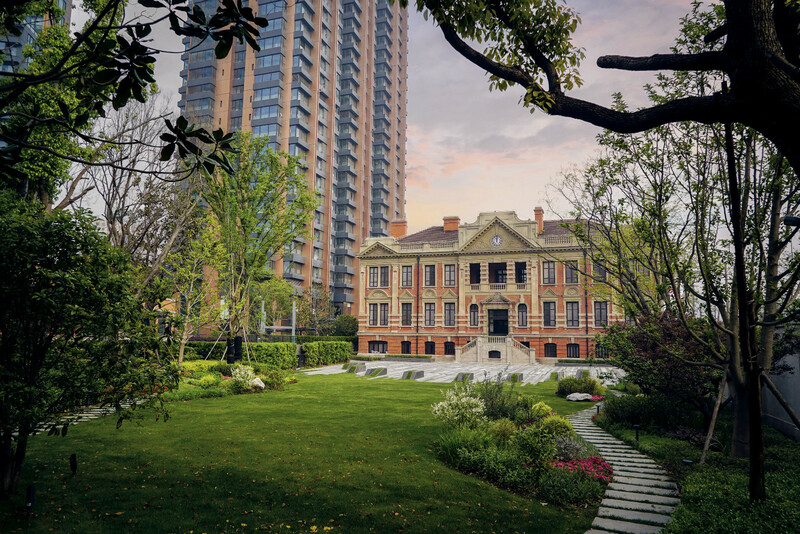 In Shanghai, we hosted a screening of five classic Italian comedies during the “Flamboyant Festa by BVLGARI” opening party, as well as a panel discussion. Luxe.Co: Luxe.Co has conducted consumer surveys for two consecutive years featuring mid-to-high-end millennial consumers. 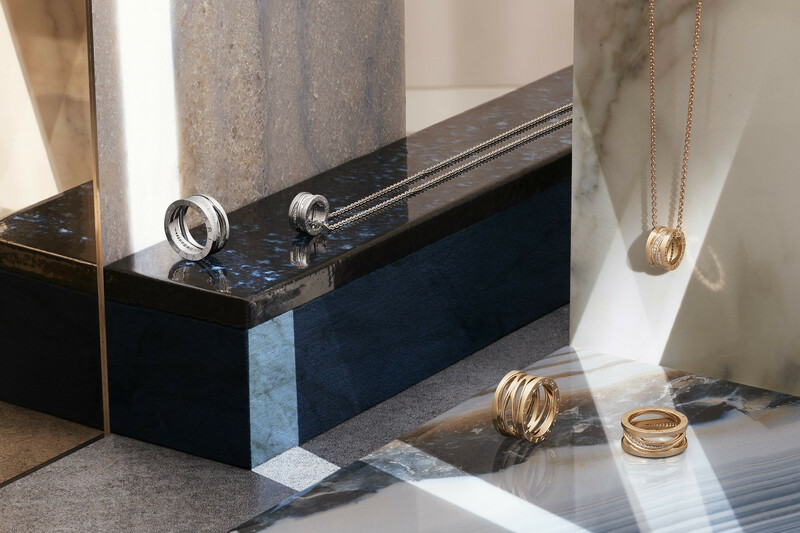 In the high-end jewelry market, global consumers, in particular Chinese consumers, have evolved dramatically in terms of age groups, aesthetics, purchasing habits, and brand recognition. Accessories have also become a popular area for fashion in the past few years. What is your approach toward millennials? Babin: I think that you don’t necessarily design a strategy exclusively for millennials. In addition to styilstic desirability, brands are also must relate to values. In addition to the look of the product, there are also craftsmanship and origin stories. Whether someone is a millennial or from another age group, I think there is a lot of value beyond the jewelry itself. Therefore, exposing the background stories and sharing them is very important, as well as maintaining the brand’s integrity and social values. I think that “sharing culture” is taking over the “showing culture”. This obviously fits very well with millennials, as well as other age groups if you closely examine social media. It’s not only about people who are 25 years old. Many people in their 50’s are using social networks. Showing is becoming more about sharing. Millennials are important, but most people who buy luxury goods on their mobile devices are in their 40’s. Luxe.Co: BVLGARI, with over 130 years of history under its belt, is the world’s top jewelry and watch brand. What has been the major challenge for BVLGARI since you joined as CEO in 2013? Babin: The major challenge is probably about how to express the brand consistently and faithfully in accordance to the founder’s vision and dream, whilst simultaneously looking towards the future. We need to make sure that our interpretation is consistent, relevant, and, at the same time, contemporary. Our DNA remains but we also bring in new genetic code with each iteration. We need to make sure the new codes speak to yesterday’s generation, as well as today’s or tomorrow’s generations. It is the same for all luxury brands. The glamour and the way we communicate need to be very faithful to the original DNA of the brand. This is obviously a key factor for success. Luxe.Co: With hundreds of years of craftsmanship history, how does the luxury industry embrace new technologies and techniques? What technology is required? Babin: First and foremost, luxury brands need to find ways to use technologies that are familiar to their clients. It’s not necessarily mandatory to use technology in products or services, but you need to make sure that access to products and services is readily available and facilitated by technology. If you are a contemporary luxury brand, you need to be a champion of e-commerce. It does not mean that you need to be an internet geek, but you need to make sure that consumers’ digital experience is easy and rewarding. Traditionally, we have focused mainly on creativity, with less attention to delivery and ease of access to products and services. Brands need to focus their resources on both creativity and delivery. For BVLGARI watches, we focus on mechanical watches, but our channels for communication are primarily digital. Luxe.Co: Competition in the luxury industry is intense. What are BVLGARI’s core competitive edges? Babin: BVLGARI is unique. 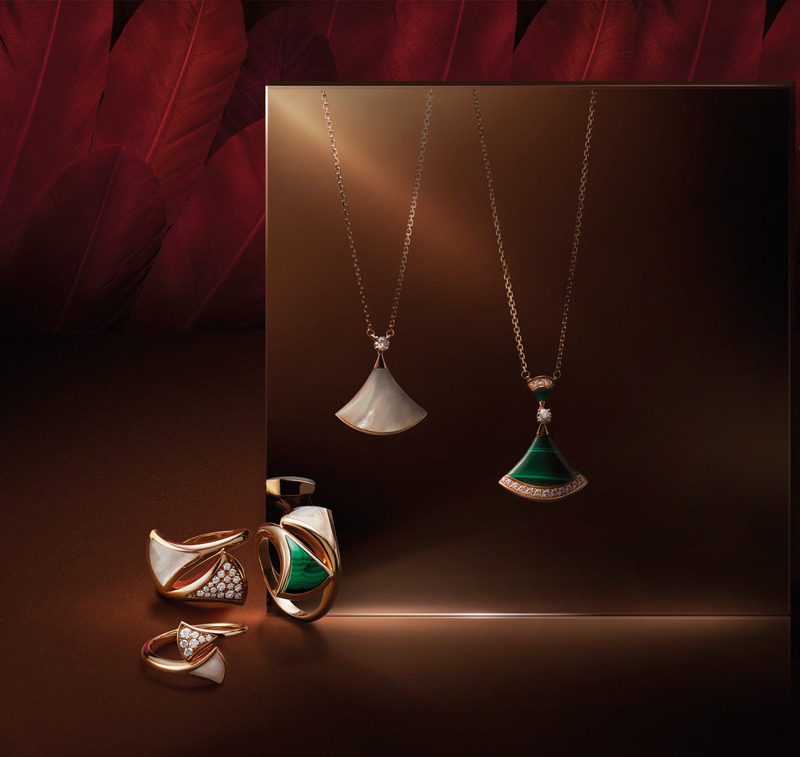 For example, the Diva’s Dream collection is inspired by the colored fan-shaped mosaics of the Caracalla Baths in Rome, combined with volumes and colors. We try to be true to ourselves. We respect competition, but we are not inspired by competition. We try to express our own origins and are positioned to take advantage of a huge wealth of resources through patrimony. Rome has existed for over 2700 years. We have yet to explore more than 10% of Rome’s history. There is still a long way to go. Babin: China is one of the major markets, together with Japanese, American and European markets. We do not solely rely upon one clientele segment. We are investing in a diversified portfolio. Our hotels are testament to this commitment. We re-opened the store in Plaza 66 yesterday and will continue focusing on elevating the range. At the same time, we re-opened our New York flagship store on 5th Avenue last year. We are about to open a store in Place Vendome in Paris. We also have many initiatives in Japan. We are trying to maintain a balance. As a luxury brand, we should not restrict ourselves to be an Italian brand, or a Chinese brand or an American brand. We have to be real BVLGARI. BVLGARI has built its strengths upon diversity, and we are a diversified brand in the global market. We had a collection inspired by Asian tiles, and the fan motif of Diva’s Dream collection also contains a Chinese element. We are quite universal in the way we express ourselves. 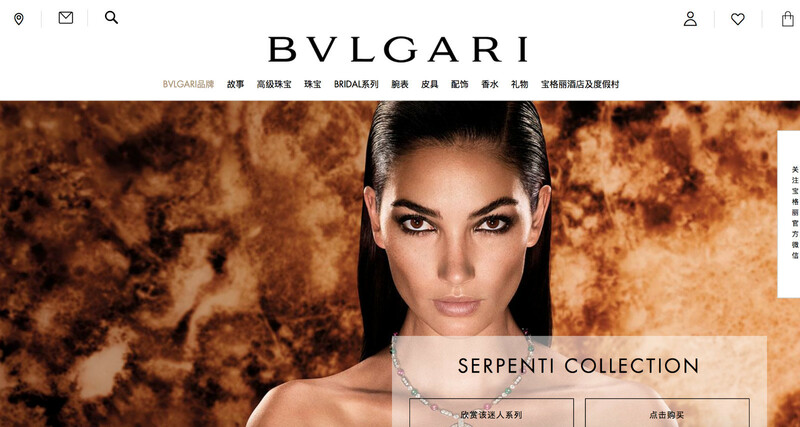 Luxe.Co: BVLGARI has launched an e-commerce site in China and has adopted WeChat sales quite early amongst luxury brands. What is your thought on combining high-end jewelry and online channels? What is your online strategy? Babin: We are active on WeChat. Theoretically you can access all of our product categories through WeChat. However, we know from experience that in terms of our jewelry, clients prefer direct connections. The online platform is more to showcase our assortments. But eventually, either clients will contact us or we will contact them. It’s very rare that you will buy a necklace of 300 thousand or 1 million euros online. In the specific context of our jewelry, the classical relationship remains primary. For more accessible and standardized product categories, it will be easier to buy directly on BVLGARI online platform or BVLGARI WeChat. But if the products are very unique, people will prefer to meet directly in person, in order to appreciate the gems up close and learn more about the creativity and craftsmanship behind their creation.